21 December, 2018 — (TORONTO, ON) —Today, 5 Seconds of Summer (5SOS) gave fans a holiday surprise with news of the release of Meet You There Tour Live – a memento of the band’s extensive 2018 global headline tour. 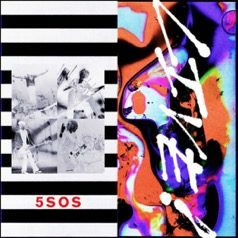 The 20-track collection includes live versions of numerous songs from the band’s 2018 album, Youngblood, including the Platinum-certified title track, “Want You Back” and “Valentine” plus “She’s Kinda Hot” and “She Looks So Perfect” and more. Download / stream Meet You There Tour Live HERE. A limited edition vinyl LP will be available for pre-order for four weeks only – from today through January 18, 2019. 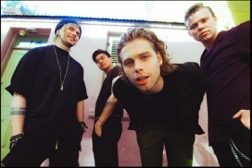 Visit www.5SOS.com for further details..
5SOS’ track, “Lie To Me” was praised by Rolling Stone as one of the highlights of Youngblood and the band recently recorded a new version of the song with acclaimed artist Julia Michaels. Released today, “Lie To Me” featuring Julia Michaels is available HERE.